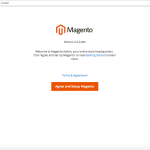 7 steps to a faster Magento website. No complex programming is required. Follow this guide to speed up Magento 2 website. 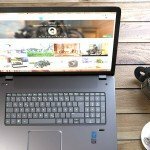 I'm sharing the field-proven techniques that will make your eCommerce shop faster and easier to navigate. A Magento security audit has become a necessity in 2019. Have an experienced and certified Magento developer teach you how to secure your Magento website. 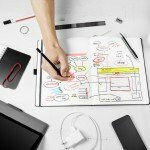 How to hire the best Magento 2 developer for your project. Ask these 5 questions to test your potential candidate. No matter what you run M1 or M2, this tutorial will help you speed up Magento site. No need for special programming skills. A very detailed tutorial on how to migrate Magento 1 to Magento 2. The guide has a list of possible errors (and fixes) that might come up during migration. You need to perform Magento 2 upgrade regularly to stay secure and up to date. I present 3 simple methods to update your installation with minimum hassle. Magento 2 TTFB audit is the only right way to fix poor site performance. Analyze code with a profiler and find abusive functions that take the most time. 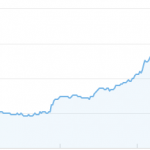 What platform handles 1 million products better - Magento 2 or WooCommerce. I compared the two eCommerce frameworks to find out which one is faster. Group interview: 3 well known magento experts talk about Magento 2. They answered 12 questions and shared theirs knowledge and expertise. What server to choose for Magento 2? VPS or dedicated? How much RAM? Check my tips on choosing the right hardware for M2 optimal performance. I loaded Magento 2.2.2 with 1M SKUs and analyzed frontend and backend performance. I was using 6 CPU cores and 12G of RAM and was running Debian 8. I try 5 top Magento Inventory Management solutions. I analyze pros and cons of each integration. I check for ease of use, automation and Magento 2 support. Is Magento 1.x faster than Magento 2.x? 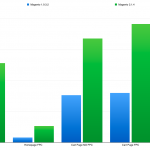 We will find out by benchmarking Magento 1.9.3.2 against 2.1.4. 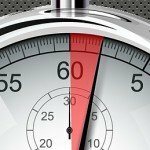 Learn how to reduce time to first byte (TTFB) and speed up magento website.